Malawi Blood Transfusion Service came at Andiamo this morning of 18th July to extend an opportunity for Andiamo workers to save a life. 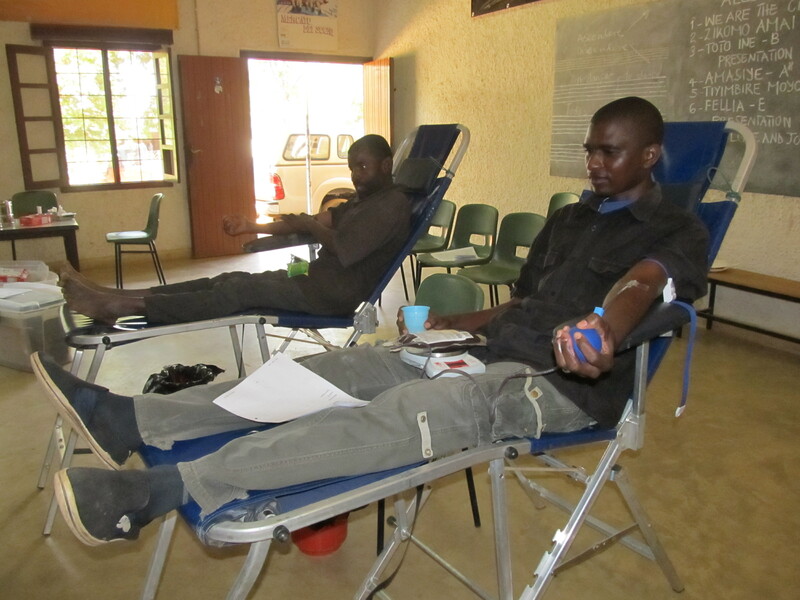 Kennedy Alufandika of MBTS illuminated well on the importance of donating blood regularly. He said blood donated is supplied to most of government hospitals which is transfused to anaemic patients or pregnant women who usually lose blood at delivery. 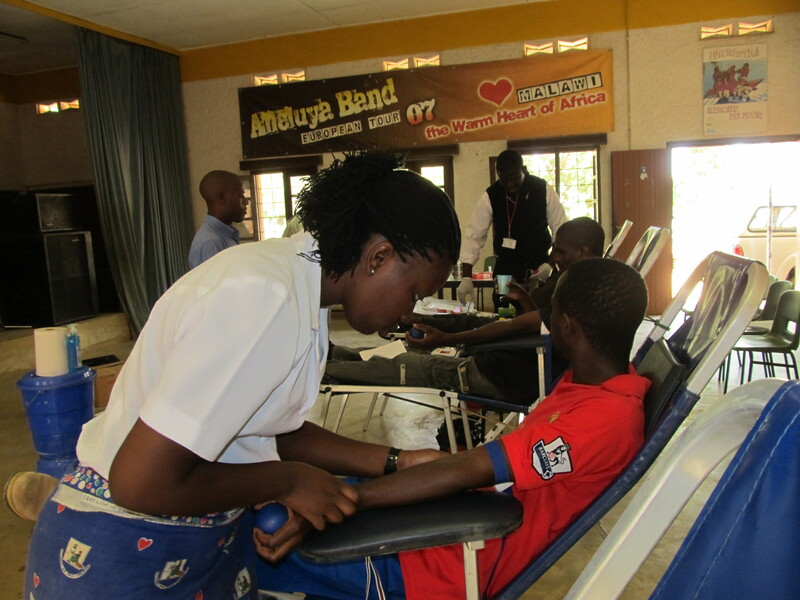 “I am amazed at the turn up of willing workers to donate blood” says Alufandika commending the willing heart of Andiamo workers who volunteered for blood donation. This entry was posted in News from Malawi, Social Development and tagged Andiamo Trust, Harry Pongolani, Henry Goster, Kennedy Alufandika, Malawi Blood Transfusion Service, Rodrick Malefula. Bookmark the permalink.